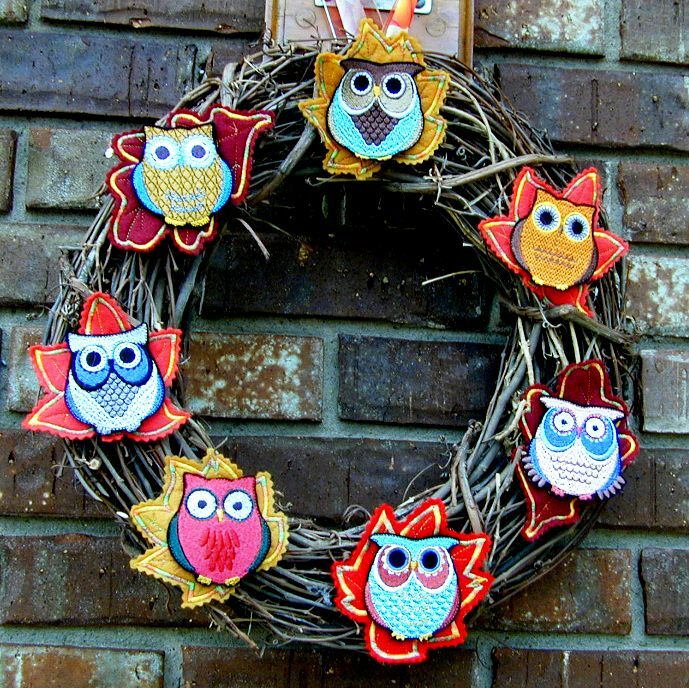 9 super cute owls offered in two sizes. Dee's been making some change purses for a craft show. 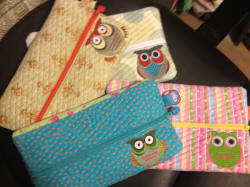 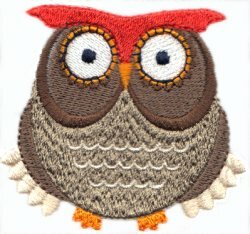 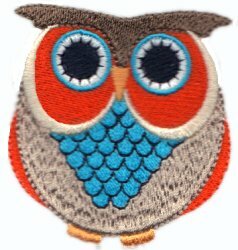 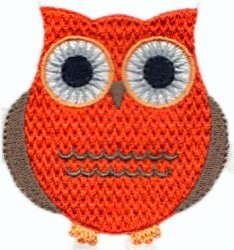 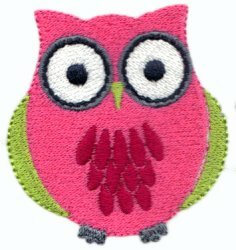 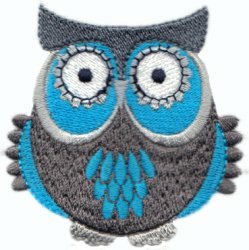 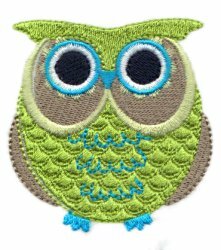 These owls look great on her fabrics. 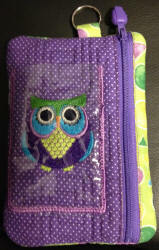 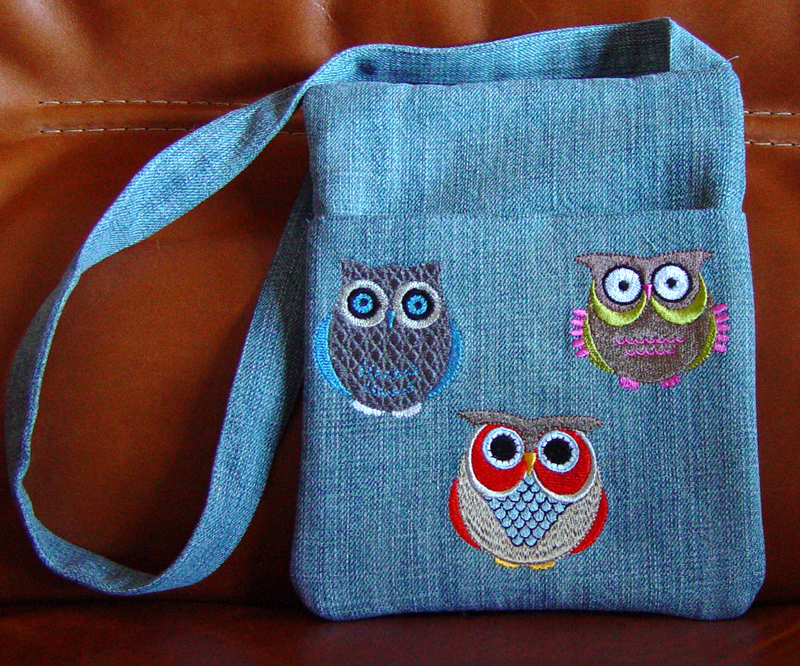 This is Betty's owl purse made from recycled jeans. 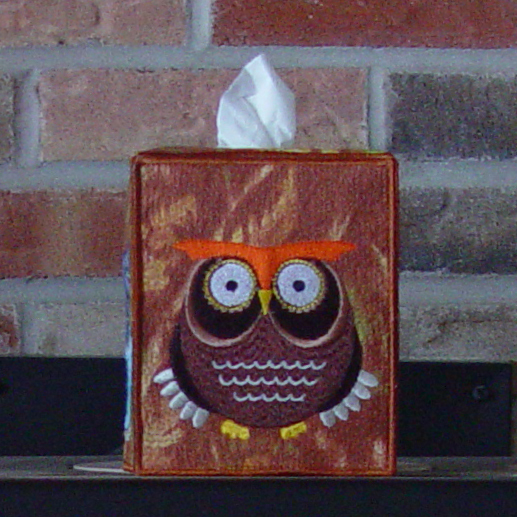 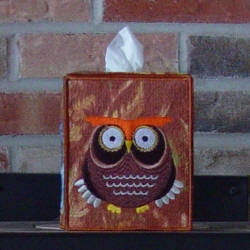 This picture above shows one of 4 sides of a tissue box cover that Betty made. 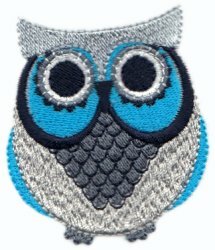 Each side has a different owl. 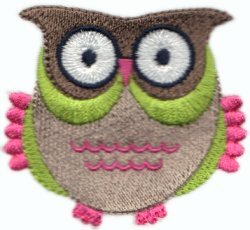 This is another great project from Dee. 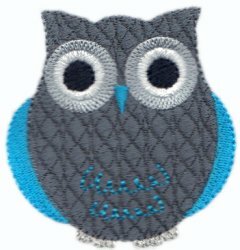 Pam had a great idea to stitch the owls and some leaves on felt and put them on a fall wreath.